Where did January go?! 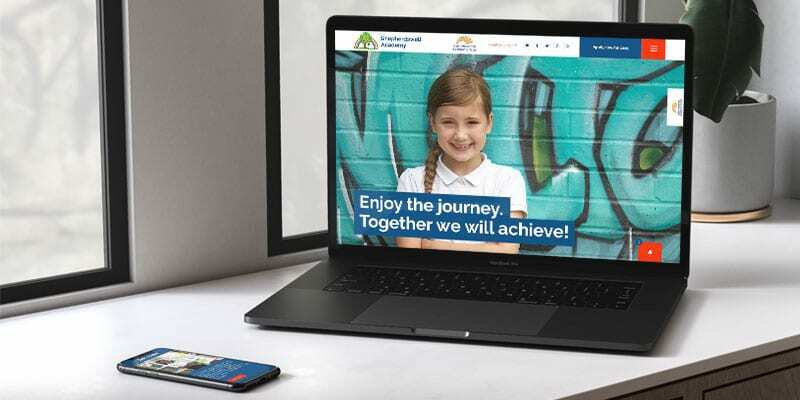 We’ve been so busy launching some fantastic new school websites that the start of the year has flown by in a blur of visuals, site maps, SEO set up and pre-go live checks. Here is a round up of the latest school websites, all designed, built and hosted by Cleverbox. St Mark’s West Essex Catholic School is a successful, caring, multi-cultural and multi-faith school for boys and girls aged eleven to eighteen. 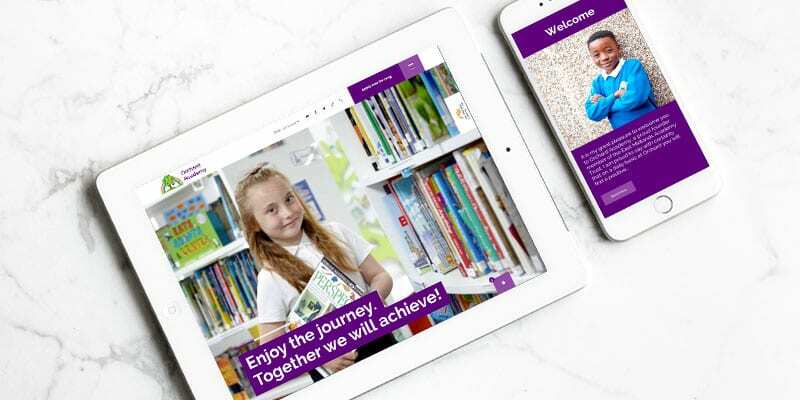 Based in Harlow, Essex, their new school website reflects the stunning array of activities and events that are on offer to pupils. The school website includes a Twitter wall integrated on the homepage so any interesting, important or time critical school news can be found as soon as visitors arrive at the website. The rotating menu carousel is a particularly innovative feature, with quick links to the main sections of the website. Orchard Academy is a proud founder member of the East Midlands Academy Trust and offers a caring, nurturing environment for students and staff. 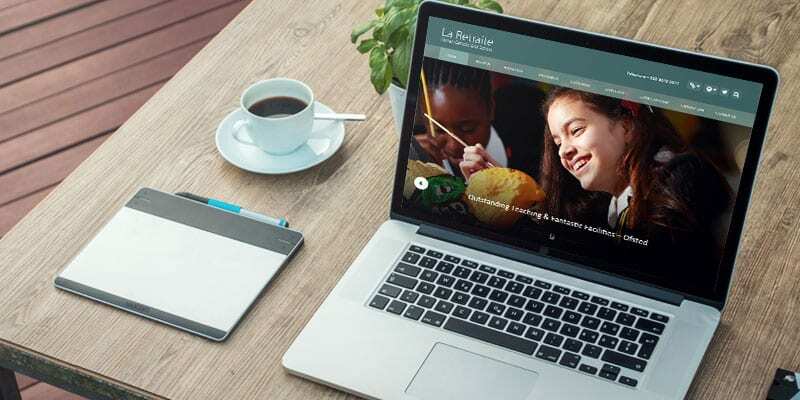 Their new school website provides a wonderful platform for parents, pupils and staff to connect. We love the integration of their school events calendar on the homepage, so visitors can find out about any upcoming activities as soon as they arrive at the school’s website. Another proud member of the East Midlands Academy Trust, Shepherdswell Academy places children at the heart of everything they do. The school aims to build a solid foundation for pupils as they begin their educational journey. The school website reflects this ethos, with a clear and simple navigation, an accessible menu and rich, striking imagery that gives a sense of what makes the school great. The inclusion of an announcement pop-up on the homepage allows the school to share important or time critical messages with parents and can be changed at any time within the content management system. Castle Academy in Northampton works closely with parents and governors to provide an outstanding education for pupils. The school’s new website is visually engaging and presents some simple but effective features that give it that extra something special. Social media integration, a calendar on the homepage and quick links to the school’s key information and policies are just a few of the features that make this school website fluid, functional and fun to visit. Prince William School needed a school website that reflects the school’s aspiration to be the best they can be in everything they do. As the school helps to develop secondary pupils into successful young adults, the school website provides resources for students to engage, share, revise and prepare for activities, events, exams and day to day life. The school website includes all the information a prospective family would need to know if considering this wonderful school as their first choice. For staff, it provides a platform to share news and important notes with parents, whilst Sixth Formers can get all the information they need about courses and learn about the culture and lifestyle that exists at the school. 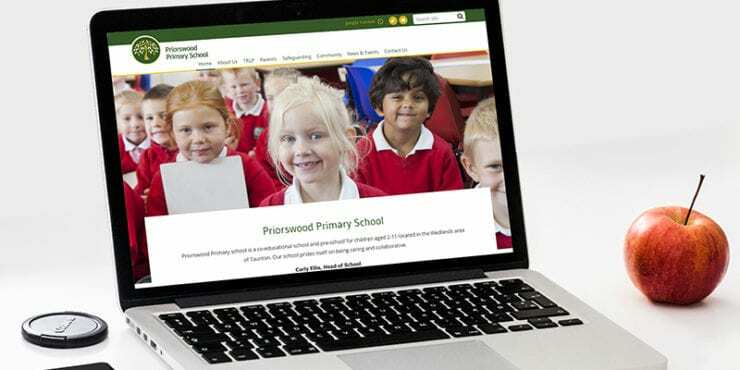 Prepare to be inspired as you make your way around the fantastic new school website launched for Priory School in Lewes. The homepage grabs attention instantly as stunning photography showcases the types of activities on offer at the school. We love the unique menu format that makes it easy for visitors to see all sections of the website and easily select the area they wish to visit in a simple click of the mouse or tap of the finger. 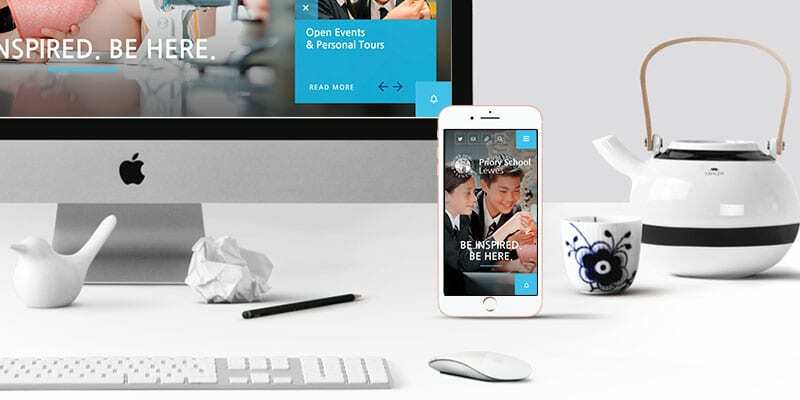 The website looks great on a mobile phone and none of the functionality is compromised because the site operates within a responsive design framework. 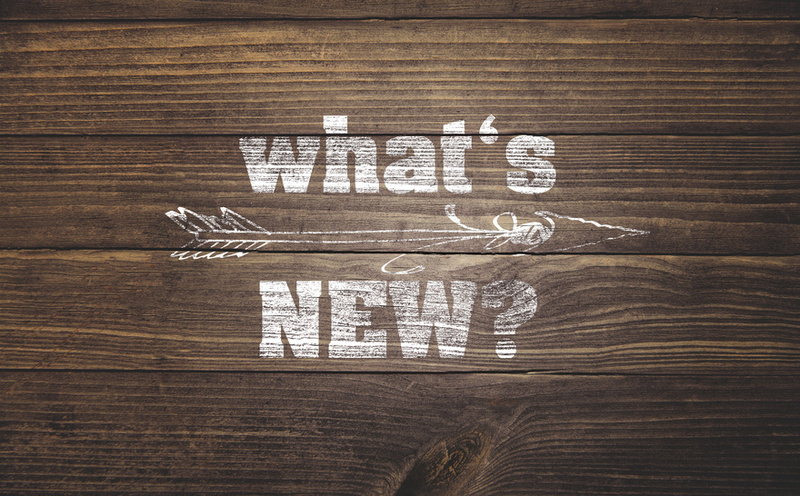 The clever use of a pop-up announcement on the homepage can be used to share news about open events, parent evenings and other noteworthy notifications. Finstock Church of England Primary School has seen many generations of families walk through their gates and continues to provide an excellent quality of education and care for pupils. The school website clearly presents the school’s mission of transforming lives through inspirational learning. The use of real-world photography gives a sense of a day in the life of a Finstock pupil and presents a clear route for visitors to get all the information they need to know about this great school. Priorswood Primary School is a co-educational school and pre-school for children aged 2-11 located in the Wedlands area of Taunton. 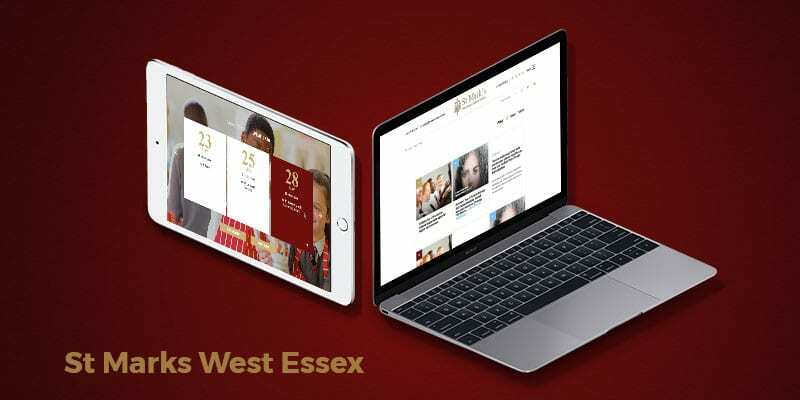 The school website presents a fresh and clear experience for visitors, with clear links to information about safeguarding, community information and a comprehensive area dedicated to parents. 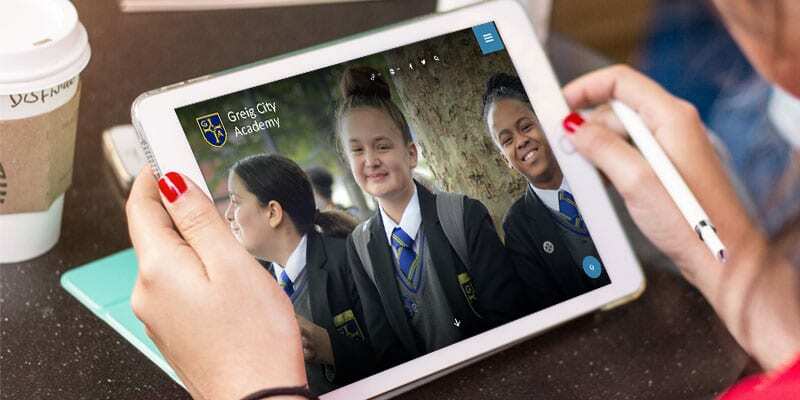 What really brings the Greig City Academy website to life is the interactive imagery on the homepage. Photos ‘move’ to give the website a really fluid feel and visitors can read about the latest school news and events directly on the homepage. There’s a dedicated area for the school’s Sixth Form, with clear information on courses available and how to apply. The photography on the website is stunning, with examples of extra-curricular activities on offer at the school such as sailing and netball. La Retraite is an 11-18 school in South West London, with a long tradition of academic success and of supporting the local community. The school website is a joy to visit, rich in imagery, inspiration and information. 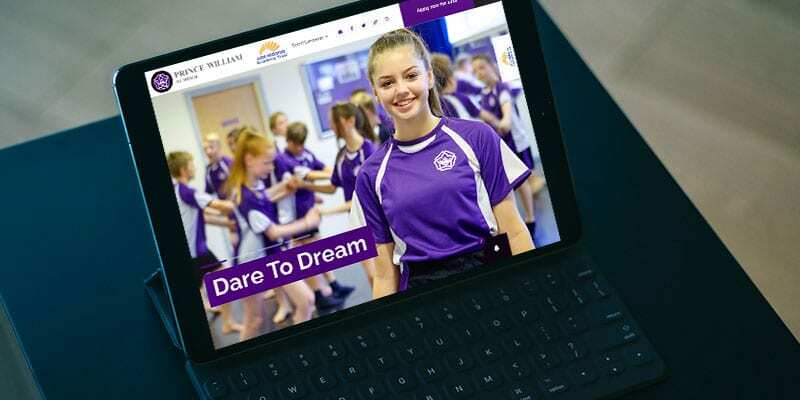 The use of a rotating image carousel on the homepage gives the school the ability to refresh images and keep the website looking modern and interesting as soon as someone arrives at the site. With a healthy level of engagement on social media, it makes sense that the school’s Twitter feed is displayed on their homepage, meaning visitors can get the latest updates from within the website. Teaching schools provide the opportunity for all schools to learn from the very best. They have a leading role in the training and professional development of teachers, support staff, and school leaders, in addition to contributing to the raising of standards through school-to-school support. 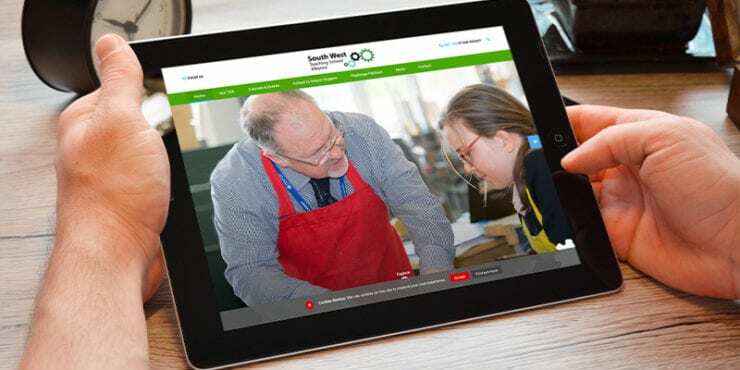 The website recently launched for the South West Teaching School Alliance presents an appealing overview of courses, support available and events open to members of the alliance to attract new members and engage existing ones. If you’re considering updating your existing school website, or need to move to a responsive school website design, give us a call. 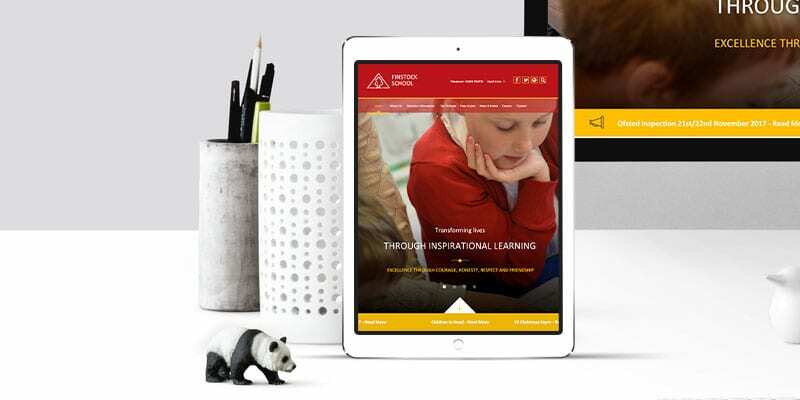 We can carry out an audit of your current school website for you, with recommendations on how to improve on design, performance, SEO, compliance and security. Pick a date and we’ll call you back. Alternatively, give us a ring on 0208 466 7222 or email [email protected]. Want to see more of what we can do for you? 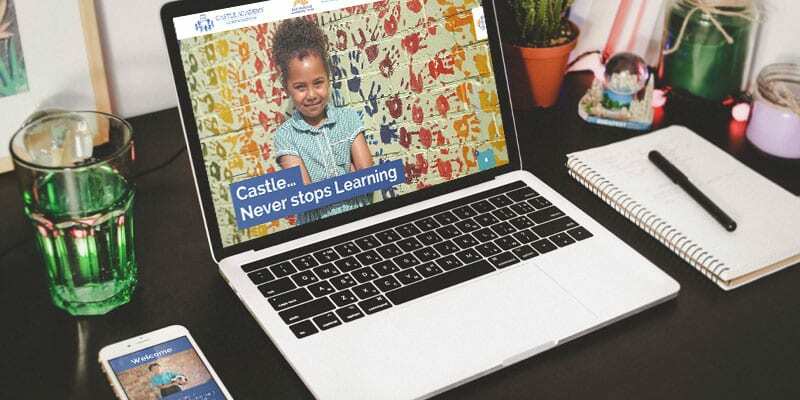 Visit our portfolio of school websites, covering the extensive selection of work we’ve completed for Primary Schools, Secondary Schools, Independents and Trusts throughout the country. We can also help with other aspects of your school marketing and provide guidance and best practice tips to help you get the most from your marketing budget. We’ll support you as you prepare for your school’s Open Day in advance by updating your prospectus, refreshing your photography and replacing old signage and displays. We also specialise in marketing, branding and logos for Trusts, Sixth Forms and Teaching Schools. Our approach is consultative, flexible and results-driven and we take great pride in our work. With nearly 20 years’ experience, working alongside over 750 schools, we have the expertise to help you build a school marketing plan that is strategic, budget conscious and effective.